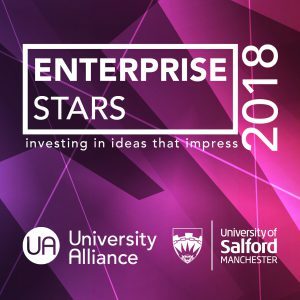 Welcome back to part two of our series looking at the student entrepreneurs taking part in this year’s Enterprise Stars at the University of Salford’s MediaCityUK campus on 14 June. 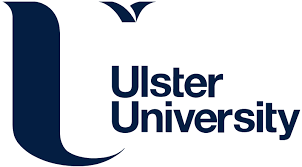 13 entrants from our universities will be pitching their innovative ideas to a panel of investors. They will be competing for a share of £5,000. We will announce the winners live on Twitter – follow us on @unialliance and join in the conversation at #EnterpriseStars. Nowadays we are all familiar with grabbing a drink from the vending machine. Joseph wants to install a milk vending machine on his family’s farm to enhance the milk buying experience and offer the general public the choice of buying their fresh milk straight from the farm. Morley’s Milk would enable customers to support their local farm and farming communities. By putting the farmer first, it would allow them to sell their milk direct to the public for a sensible and fair price. It would also help customers to see what happens behind the scenes on the farm and increase awareness of where their food comes from. Sophia Bannert, an Architecture Master’s student at OBU, is drawing on her studies to devise a tool to tackle the physical and social barriers in our cities for people with disabilities or access needs. Her Bee-Able app aims to transform cities in places of equality and inclusivity, whether people are wheelchair users, visually impaired, parents with pushchairs or just carrying heavy suitcases. Accessibility is a vital, but often overlooked element within businesses and could result in losing potential revenue and customers. Sophie has developed a prototype map-based app which allows users to rate and review their city’s accessibility. It also allows them to find out which are the most accessible businesses and book ahead, with confidence, through the use of ‘scores’ on the doors of top-rated places and venues. For those businesses with low scores, Bee-Able will also offer bespoke architectural, planning and project management apps to address any accessibility issues highlighted by app users. On a surfing trip at a remote location Oliver, like many people, hid his car keys and went off to surf with his friends. But when he got back to his car, the doors were open and someone had stolen all the belongings in his car. Idil and Nicola, biochemistry and pharmaceutical science students, hope their business can alsohelp the University of Salford set a precedent among UK universities by ensuring their undergraduate chemistry laboratory classes practice ‘green chemistry’ and reduce their environmental footprint. They also want to sell the environmentally-friendly and sustainable chemical products into local and national chemical industry to reduce laboratory waste and solve the challenges facing the industry’s struggle to be greener. Andrew and Ben are two aerospace students from Teesside whose business idea is literally reaching for the stars. Their proposal, StratoBooster, will research, design and construct a small satellite launch platform. It will include a small rocket – the 30cm high StratoBooster – which ascends on a meteorological balloon to 30km and then fires its rocket booster to launch femtosatellites called ‘ThumbSats’ and small commercial payloads, in what will be the first civilian space mission to launch in the UK. In 2009, Pedro planted cacao trees to reforest a plantain field in Ecuador. Four years later he realised that it would difficult to maintain the crop with the income as a small farmer – less than $1 a day. So he began to use small batches of his harvest to make artisan chocolate. He later set up a small farmers association and worked with different smallholders to directly supply cocoa. By 2015 they had their first organic chocolate certified by collaborating with bigger cooperatives.